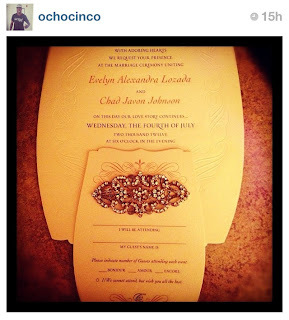 It's Just Mobolaji | Music & Entertainment: Flicks: Evelyn Lozada & Chad Ochocino Wedding Special! 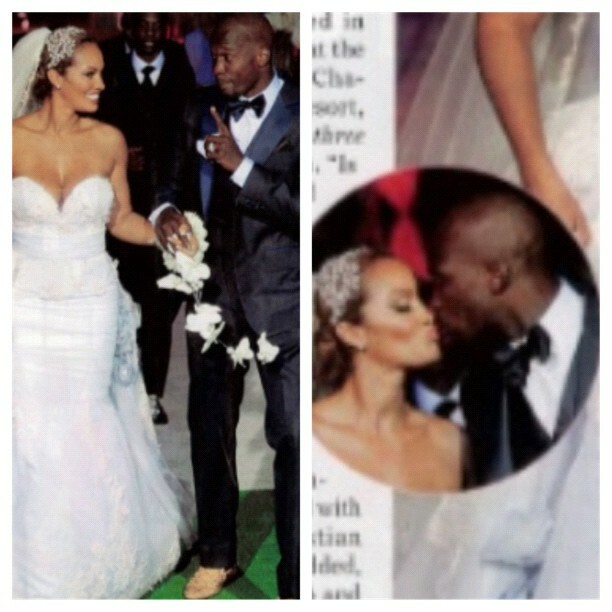 Flicks: Evelyn Lozada & Chad Ochocino Wedding Special! 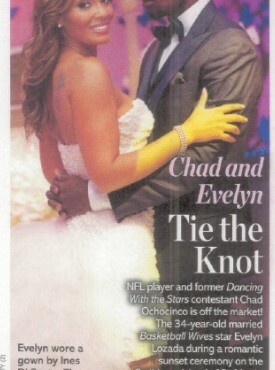 Basketball Wives Reality TV Star Evelyn Lozada got married to NFL player Chad Ochocinco in St Martin last week. With no exclusive wedding pics just as yet. We are lucky enough to see one via Evelyn's Twitter page released last night. And a few others which I managed to get my hands on. 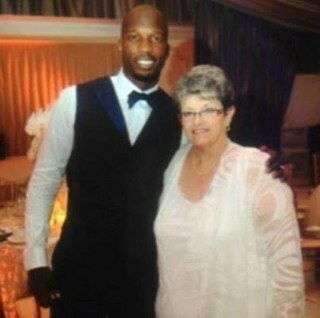 The rest of the wedding pics will be featured in this weeks US Weekly magazine and Life & Style. Make sure you pick up your copy! And can you believe that Chad was tweeting during the wedding, lmao! This guy never ceases to amaze me. Want to watch the wedding? Then tune into VH1 this September to watch Evelyn & Chad's new reality show 'Ev & Chad'. 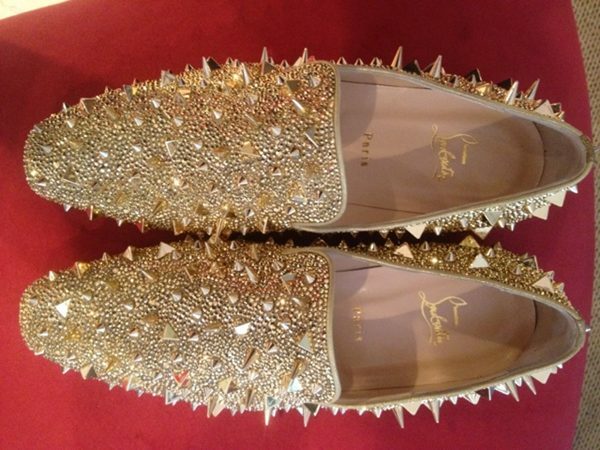 Yummy!!! 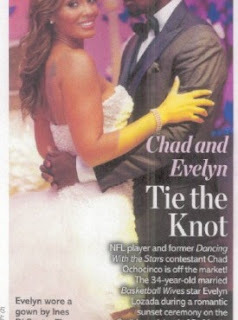 I wish Evelyn and Chad a very happy married life. More pics soon to come... Stay Tuned!! !